I met Golda Mowe in Kuching in 2009. 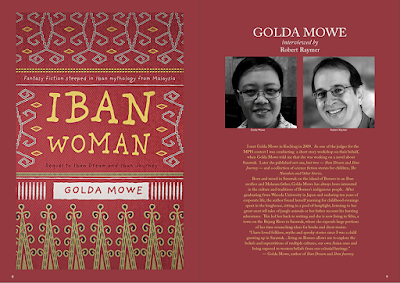 As one of the judges for the MPH contest I was conduc­ting a short story workshop on their behalf, when Golda Mowe told me that she was working on a novel about Sarawak. Later she published not one, but two — Iban Dream and Iban Journey — and a collection of science fiction stories for children, The Nanobots and Other Stories. Born and raised in Sarawak on the island of Borneo to an Iban mother and Melanau father, Golda Mowe has always been interested in the culture and traditions of Borneo’s indigenous people. After graduating from Waseda University in Japan and enduring ten years of corporate life, the author found herself yearning for childhood evenings spent in the longhouse, sitting in a pool of lamplight, listening to her great-aunt tell tales of jungle animals or her father recount his hunting adventures. 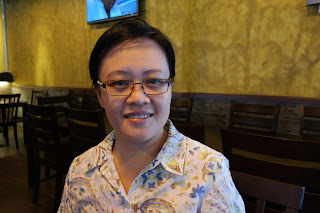 This led her back to writing and she is now living in Sibu, a town on the Rejang River in Sarawak, where she expends large portions of her time researching ideas for books and short stories. Golda: Of course you did, Robert. Remember that time when I asked you about “Neighbours”? I was so surprised when you wrote back a long and patient reply. That story of yours is still my gold standard. The words flow so smoothly, I forget I am reading. I now redraft my stories over and over until I reach that level of smoothness before I show them to anyone else. 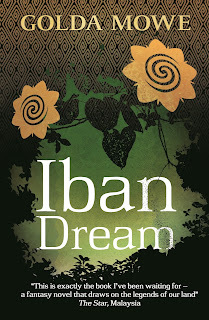 When did you first begin to write Iban Dream and how long did it take to get that first draft done? How much longer before you got the novel to the point where you felt it was ready to be published? Golda: I was working on the first draft part time from 2002 until the end of 2004, when I re­signed from my full time job. It was exhausting to work 8-hour days then come home and work some more on the manuscript. From then on, I did part-time work, earning just enough to cover my day-to-day living expenses. I completed the first draft around the middle of 2005….I only sent out my manuscripts to publishers recommended in the writer's forums because all the ones I found advertised in magazines or newsletter were vanity presses. After multiple rejec­tions, I took another hard, critical look at the story. I changed some scenes, some plots and finished the second draft. I promised myself I would rewrite the book each time I got a rejection…assuming it was not good enough. Having said that, I must be very clear here: I treated this period as a time of educating myself….You must have returned multiple drafts to your students for rewrites! So I treated these rejections as a request for redrafts from the publishing industry and did exactly that and resubmitted it to a new publisher or an agent. I cannot remember how many redrafts I did. I guess I would have saved a lot more time if I got advice from a professional, but at that point I was going into the industry blind. It never occurred to me that I should have looked for an editor who would have guided me in the right direction. The manuscript that I had put together by trial and error was finally accepted by Monsoon Books in January 2012. The Star called your book a fantasy novel, which it is, but having lived in Sarawak and having read various Dayak legends, I saw your book as an offshoot of the mysticism and animism that’s still prevalent today. There are certain taboos that you don’t risk breaking whether in a long­house or in the jungle. For me, your book seemed ‘natural’ in a Sarawak context and even ‘believ­able’. I mean, you hear these fabulous stories that you just don’t question, that are prob­ably not all that far from the truth — at least according to legend. Did you feel that way while you were writing, while trying to capture the ‘truth’ in your story or the ‘truth’ of certain Iban myths that per­haps you grew up with? 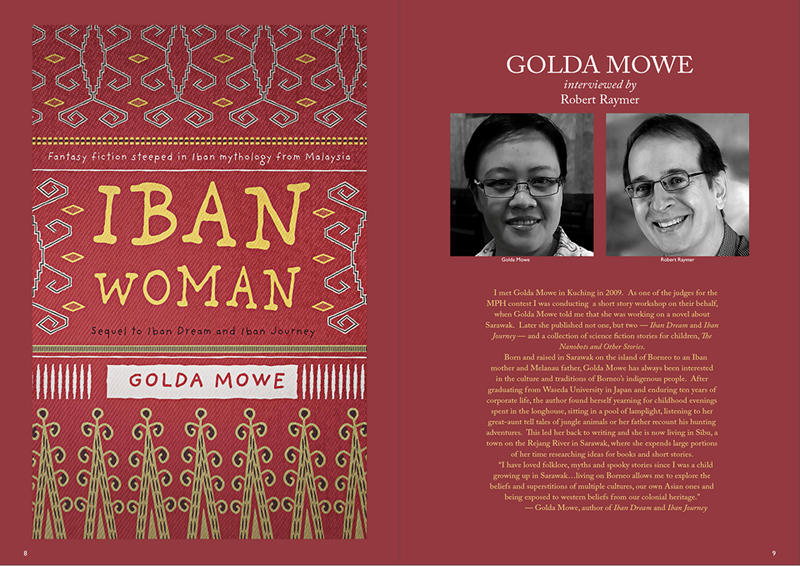 Golda: I did not start out to explain the Iban culture…I was just writing what I know and what I have experienced. Since their migration into Sarawak, the Ibans had been separated by geogra­phy and disputes for three to four generations before coming together again in modern times, so my biggest headache had been to keep track of the bits of differences between the groups. I usually check and double check my facts to make sure that I have the appropriate taboo, custom, or belief for a particular region. One time, I wrote that the gecko represents the creator god Selampadai. This is true for the Rajang region, but my hero is based in Batang Lupar. Among the Ibans there, the representative of Selampadai is the millipede. Now, every time when I feel like taking shortcuts, I’m reminded of that oversight on a certain page in Iban Dream. Since you have been in Sarawak for so long, you must have noticed this strange combination of artistic freedom and restrictions among the Ibans. I feel free to write as crazy a story as I can, and put the demons, gods, and spirits into any kind of trouble I wish, but I am not free to change their nature. For example, Sengalang Burong, the warpath god, brings great blessing and good fortune. He does this all through the trophy head. Even though I wish I could make him more sympathetic and become a fatherly figure to Bujang Maias, I could not. Hence my protagonist had to disobey him in order to become a more modern and sympathetic hero. RR: Did you do a lot of research before you began writing the first draft of Iban Dream or did most of it come later as you began writing and realized that you needed to delve into the subject deeper to make your story or scene more convincing, or did it just come natur­al­ly from growing up within your culture or through extensive reading over the years or from listening to oral tradition repeated over and over since you were a child? Golda: A combination of all the above….There was no research work in the early stages, only a need to write the story because I could not stop thinking about it. Then as the MS progressed I be­came curious about the why’s and the how’s of Iban life. As you have mentioned, some things are just accepted as it is, and few people really knew why it was so. That was when I started look­ing for more information from books because very few people were willing to talk openly about some taboos. My real-life experience has helped me create characters who have a proper Iban attitude and beliefs. My love of Iban folklore has helped me create a protagonist who is typical of the Iban hero. And my research work has not only given me a solid foundation for the theme of the story but it has also helped me explain the Iban taboos and customs to non-native readers. RR: A great book on taboo is The Golden Bough by Sir James Frazer. Occasionally I’ll come across a bizarre news story…about a teenager in Nepal dying while sequestered from her family in a hut because she is menstruating, and I’ll think, my god, they were doing that five hun­dred years ago…but now? Still! You could tell that a lot of research (and personal knowledge) went into this; there was little, if any, vagueness or generalizing. It was rich with details. It’s like stepping into a new world and feeling a part of the fabric. You made it all seem believable and that takes considerable skill to pull off; you can only fake so much until people see through it — es­pecially those familiar with Sarawak. Also, a lot of first time novelists write mostly about themselves (and there is nothing wrong with that) but you clearly did not. How did your upbringing or your experience with those living in a longhouse influence you to become a writer or a novelist? Golda: My grandparents lived in a longhouse, so I visited during the school holidays. This has helped a lot in the sense that everything seemed so different, so I took notice of them. I started reading seriously when I was around nine, including a lot of Enid Blyton books, and believed that I could find fairies in the longhouse and at my grandparents' orchard. I pestered my grand­parents with questions and, of course, they obliged by telling me that a demon lived in the tapang tree, or that the kelansat demon would kidnap me if I stray too far from them. Their inten­tion was to scare me into behaving because I liked to roam off alone, but it had the opposite effect. I grew up poor in Sibu town. We had a proper home but there was very little luxury. I remem­ber one time when Mary Poppins was showing in the cinema. Most of the kids in my class had gone to see it, and they would discuss bits of the story. I would listen and then repeat the story to my toys….The vision of Mary Poppins floating down on a ray of light while holding an umbrella over her head is still very strong to this day. I don't know if my vision is correct because I have not seen the movie yet. (The green Chinese umbrella is definitely wrong, I think). My imagin­ation was always running wild. Whenever my friends discussed any movie or show they had watched, I would pretend to myself that I saw the same show and made up stories about them. I think the most important factor that helped me become a novelist was the discipline of persis­tence that I accidentally turned into a habit. The school and public library only had classics during my school days, so after my Form 3 exam, I started reading a book by Sir Walter Scott. I did not understand most of the words he used, but the story was so interesting I started collecting dictionaries so I could read it. I think this habit is what gave me the discipline to stubbornly per­sist on learning grammar when I started writing seriously in 2004. Ivanhoe is still one of my favorites. I bought my own copy and still reread it every few years. RR: Mary Poppins’ umbrella was black, but she had more than one….The idea of Mary Poppins floating down with an umbrella is surreal in any culture. It sure captured the imagination of children. Unfortunately some have tried it by jump­ing off their roofs think­ing they will float to the ground — with disastrous con­se­quences. I wonder if any kids tried to fly out a window with a broom quidditch style like Harry Pot­ter? Did Aladdin prompt any children to fly on a magic carpet? I couldn’t get mine to levitate. I was so bummed. Did you study in a writing program or take a creative writing course or a writing work­shop with anyone who may have influenced you to become a writer? (I learned from two fiction writing courses from Writer’s Digest because I was on the road a lot.) Or did you just learn your craft on your own—there many excellent writing books and writing websites out there! Golda: I think about the only serious writing lesson I ever took was the workshop where I met you. I registered for a writing course by post around 1996. I paid the fees, got the materials but did not do any of the assignments. Life got the better of me: work was hectic and the night life was intoxicating. Oh how I regretted not finishing the course with The Writing School. It was really frustrating when I started writing the first draft for Iban Dream. I read extensively, but I did not understand even the most rudimentary grammar structure. I combed through the English grammar sites and tried to learn as much as I could. Even though I eventually under­stood how English worked, I still could not write the way I wanted to write. Then I read that Jack London copied Rudyard Kipling to learn how to write like a master. I love Jack London’s work, so I thought I should try it too. Tolkien was my choice because his style of writing reminded me so much of the style of storytelling in Iban. I copied every word of the first chapter of Lord of the Rings by hand, circled every punctuation in red ink and tried to figure out why a sentence was structured in a particular way. It took me months to finally figure it out. RR: I’m impressed you actually did this….I’ve read of other writers doing the same. It makes perfect sense. I considered it but didn’t follow through. I was al­ready married and on the road a lot setting up stores in the US, so I had little time to spare and was working on a novel about my experiences being on a road and setting up stores! The novel was horrible (but a confidence builder) except the first chapter, which I turned into a short story (actually it was the other way around, I wrote the short story and thought, hey, this could be the first chapter of a novel!) I think I would’ve learned more about writing novels had I copied Tolkien. Speaking of learning, how did you end up studying in Japan? What did you study? Golda: My father was an unskilled blue collar worker, so the only way to further my studies was to get a scholarship. Malaysia had a Look East Policy and they were sending students to study in Japan and Korea. I was lucky to be chosen….It was wonderful to be in Japan as a student. I am quite reclusive, and Japan is the perfect culture for people like me. There were secondhand book­stores everywhere, and the books were dirt cheap. I did not have to sacrifice a meal or my rent for any copy I bought. Then there were the well-stocked libraries. I studied accounting because the subject felt structured and systematic. I think this is where I got my data organizing habit from. I have always loved collecting information since I was young but was never good at organizing them. In a strange way, learning how to balance books had helped me to categorize my bits of garbled information. RR: Book are horribly expensive in Malaysia. That was a cul­ture shock for me and other expats. Having the skill to gather and organize infor­mation and a system to retrieve it when you need it would be great. For me, it’s like, I know I got it somewhere in this note­book or stuffed in this envelope or typed into the com­puter….Hours (days later) — aha! I found it! Now what did I need this for? Did your corporate work or any previous work experience prepare you in some way to become a writer? Or did it just make you realize, that this corporate life is not for me! Golda: I worked in a few local companies, but my most significant training was from Daiken Sarawak and 1st Silicon. The people related stress did make me fantasize about being a hermit. I once thought that it would be amazing if I could find a job like the one that Jack Torrance got in Stephen King's The Shining. I did have two very good bosses in the Sales Department in 1st Silicon. They trained me to think in terms of forecast and expectations. This has helped me stay level headed about the prospects of success as a writer. I understood then that the majority of writers are not dirt poor; neither are they J.K. Rowling rich. It helped me decide how to choose the best strategy for myself when I was finally ready to look for a publisher. RR: So long as that strategy didn’t involve breaking down publishers’ doors with an ax! Tempting, I’m sure. Stephen King’s and JK Rowling’s early struggles to sell their work and their astronomical success inspired a lot of writers to keep at it, this “discipline of per­sis­tence” as you had so aptly put it. The odd are stacked against you but there are plenty of success stories out there, you included. How old were you when you when you got the idea/notion that you wanted to be­come a writer? Any early success getting your stories published? Did any of your stories lead to one of your novels? Golda: I remember when I was 12, in primary 6, the teacher asked me what I wanted to be when I grew up. I said, 'pengarang' or essayist. People just assumed that I meant secre­tary. I was so annoyed, I stopped thinking about it. The idea was reignited when I was 17 while reading Hanta Yo by Ruth Bebe Hill. This was the first time I read a novel about natives from the point of view of a native….It made me ask why I had not found an English novel from an Iban's perspective. I tried to write, but I hated everything I wrote. I was terribly disappointed with myself. I was my worst critic, I guess. I tried to pick up writing again in my late twenties. That was why I registered for the writing course. But I could not even mail out my first assignment. Nowadays I write a lot of short stories. Part of the reason is because I needed to get them out of my head, so I can focus better on whatever Manuscript I am currently working on. There had been stories I thought could be worked into a novel, but I have yet to return to them. The first two stories I managed to get published were for anthologies that a group of writers had put to­gether. I was getting rejection after rejection for Iban Dream, so seeing my work in print helped lift my spirits. 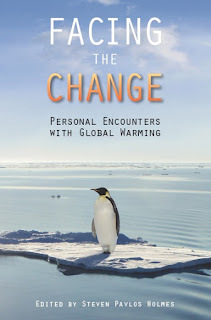 My third short story, “A Jungle for My Backyard”, managed to get into a serious anthology on the effects of climate change called Facing the Change (Torrey House). I also have one fantasy story for Remang edited by Daphne Lee and a second tale for The Principal Girl, to be pub­lished by Tutu Dutta and Sharifah Aishah bte Osman. 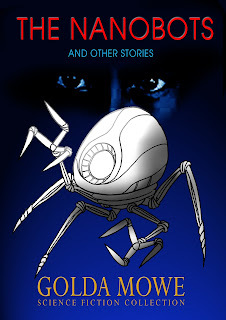 Then I wrote a collection of ten sci-fi stories for children for the Malay­sian publisher, Oyez Books, The Nanobots and Other Stories. RR: I met Daphne Lee at a reading in Kuala Lumpur and she interviewed me for The Star, so I’m a fan. For your novels, I noticed that instead of a Malaysian publisher, since you’re a Malay­sian, you went with Monsoon, a Singapore publisher. How did that come about? Have they managed to get your books outside of Malaysia/Singapore? 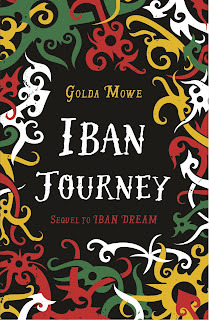 Golda: Iban Dream is a culturally specific story, so it was really difficult for me to find a local pub­lisher willing to accept the book. I got so many rejections that by 2011, I began to scour web­sites to see if any publisher had books on Borneo. Monsoon Books has A Servant of Sarawak by Sir Peter Mooney, so I wrote them a query and a month later my MS was accepted. I must admit when I decided to become a writer, I had decided that I will never self-publish my first book. For one, I had no experience with the publishing industry, so I thought that if I can get a publisher to invest in my book then they will have a good idea for how to market the book. Then all I needed to do was to follow their lead. Monsoon Books have already built a good reputation for publishing books about Southeast Asia, so that was a huge plus point. I did not know that MPH and Silverfish were publishers, so it never occurred to me to approach them. 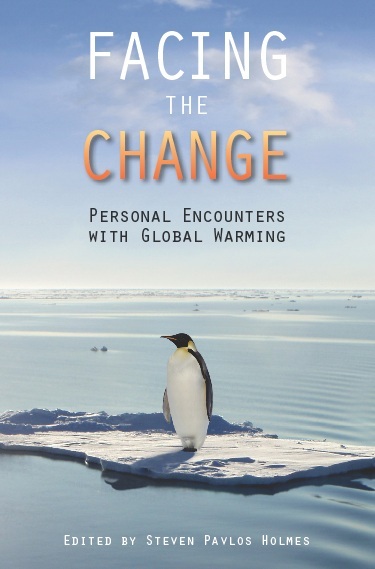 RR: I would’ve recommended both had you asked….It’s good that you’re getting sales out­side Malaysia and Singapore, one of the advantages of publisher websites and e-books! From Singapore’s perspective, Sarawak sometimes feels like another country. I once wrote a blog about the difficulties of getting my books stocked in Sarawak when I first moved here from Penang, and about publishing in Malaysia and Singapore in general, which I recently updated, including the aggressive tactics of some unscrupulous vanity presses. At the end of 2015, I entered the Scholastic Asian Book Award contest and my story The Bud­ding Traveller was shortlisted for the main prize. I did not win but Scholastic will be publishing the MS under the title The Laughing Monster. It is targeted to be out in the first half of next year. On top of that, I have completed the first draft to Iban Woman, the final sequel to Iban Dream. RR: Sounds like you’ve been very productive, quite successful, too. More importantly you’re finding a market for your work, even for “niche fantasy”. Good writing is good writing and your fantasy comes off sounding believable which makes it work. What is your typical writing process? Do you compose on a computer or write your first draft long hand? Do you rough out a first draft or are you meticulous from beginning to end? Do you keep a strict writing schedule that you have the discipline to adhere to? Golda: I used to draft long hand, but this was rather tedious for me because when I retype that draft into my computer I will become so engrossed with the details that the story will stay stuck until I am satisfied with the scene. Writing straight into the computer does not work well either. When I stop to think I would play solitaire….Then my eyes were getting tired. (Possibly too much solitaire). Now I work on a simple word processor that has no internet connection and no games. (It's a Japanese model called DM100…a word processor that is all work and no play.) This works really well for me because I can transfer the files chapter by chapter to my PC so I don't have to look at the draft until I complete the whole project. Golda: I don't stick to schedules very well, especially when I don't feel obligated to keep it. That is why I keep my life as dull and as organized as possible. This is like returning to my child­hood years when I could not go to the movies or watch a show on TV. My best inspiration us­ual­ly comes from information. Whenever I get an idea for a story, I will ready a large enve­lope for the project. Loose bits of paper, articles, books (or title and page numbers), maps, etc. re­lated to the project is placed inside. Every time I feel uninspired, I will go through these mater­ials to be rejuvenated….I cannot make myself write when I do not feel like it. So I try to under­stand how and why I am inspired to write a story, then create an environment that will help me stay inspired. Works quite well for me because it helps me write consistently. Golda: Yes, I have done a few discussion panels at the Asian Festival for Children's Content in Singapore (2013 & 2015). I also did a couple of discussion panels at the Singapore Writers' Festi­val in 2016. RR: How did it go? Golda: Are you asking a small town starry-eyed girl how it went? Of course they were wonder­ful. I don't know if anyone learned anything useful from me, but I got to talk with Tash Aw and Tan Twan Eng last year. RR: I met Tan Twan Eng’s mother at the Popular Read­er’s Choice Awards back in 2009. She was picking up an award in his honor and told me that I had taught her daughter creative writing at USM. I wished I had taught her brother, too! If you were interviewing yourself, what one question would you ask? Golda: Are you ever afraid of running out of stories? Yes, I am. Absolutely terrified of it. There was one time two or three years back when I actually thought that I had run out of ideas. I started some stories and could not finish them. Those were really dark days, and it lasted for months. RR: For years I kept rewriting the same novels and short stories over and over again. While in Penang, I wrote the first 100 pages of a new novel, but some­thing happened (we had a baby, I think) and I got sidetracked. I had this nagging feeling as the years went by that if I never finished that book I would never write another novel. Then my father died and while I was in America, I made a vow that I was going to finish the first draft of that book that very year. I was going to do it for my father. Since then I wrote two other novels (one com­pleted, the other, a first draft). What advice would you give to your younger self when you first began to write fiction? Would it be the same advice you would give to others? Golda: I would tell my younger self (and other aspiring novelists) — take care of your health. Eat healthy and have an exercise routine that is light and easy to follow daily. After I published Iban Journey, the second book, my overall health slid. It was my own fault. I live in an area where there were coffee shops selling carbohydrate laden food. While working on Iban Journey, it was easy to just pop into one of these places, have a quick meal then go back to work on the story. When the period of lethargy set in, it was all I could do to write. I was unproductive for months. No stories, no joy, no sense of achievement for anything. When I got my health back, and I be­came more sensible, the stories returned. The best stories I have written, are ones done during times of clarity. If I am feeling tired, or if I have a headache, or a stuffy nose, it will be hard to find the right words to describe the terror of jumping down a cliff or of swimming across a crocodile infested river. So stay healthy. Do all you can to keep your mind clear. RR: That sounds like pretty good advice, something we all take for granted — our health. Eating right, exercising or you can work (or write) yourself to death, and who needs that when you have all these stories that you want to write! With all of these books coming out (and others in the works), you’ve certainly come a long way since that work­shop where we first met. I’m proud of you. You’ve become an inspira­tion, not just to Sarawakians, but also Malaysians and Expats like me. 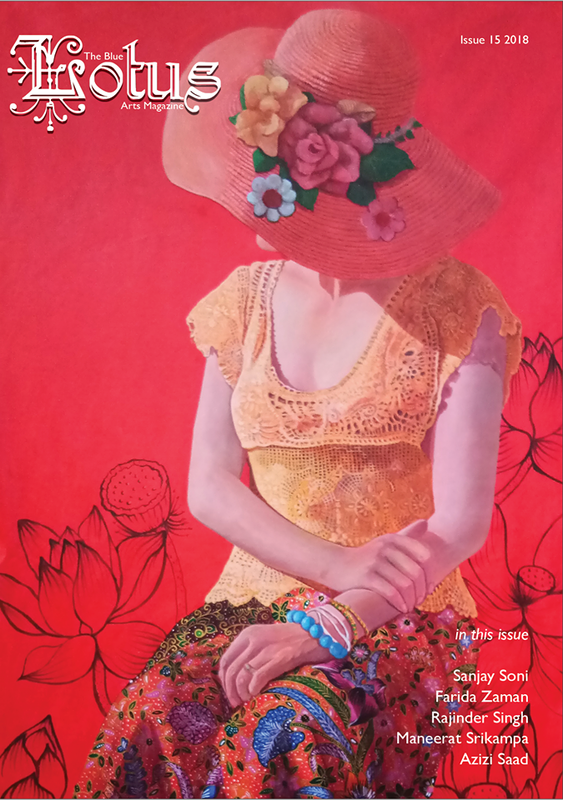 *Update: My interview with Golda has been published in BlueLotus 15, pages 18-21. 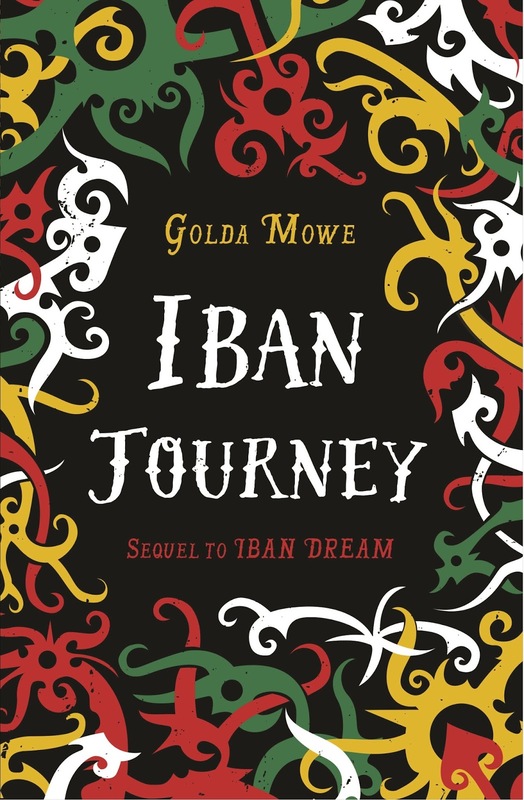 To read the synopsis of Iban Dream and Iban Journey click here. 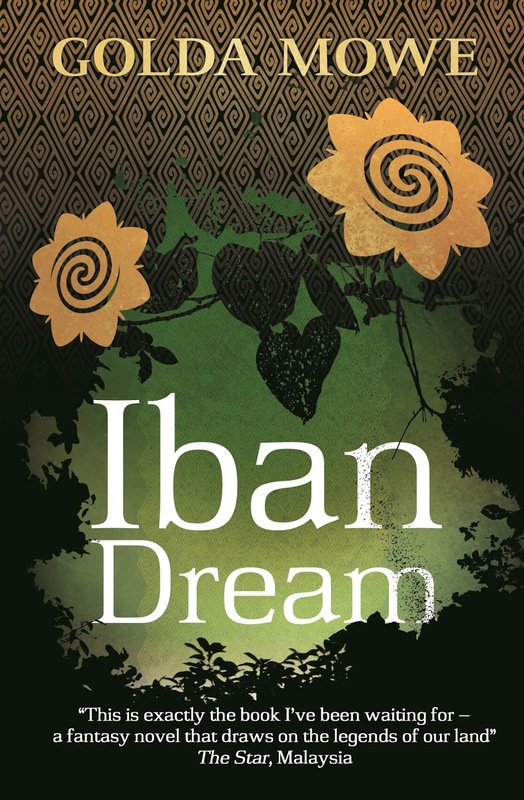 To read sample chapters of Iban Dream. Iban Journey. 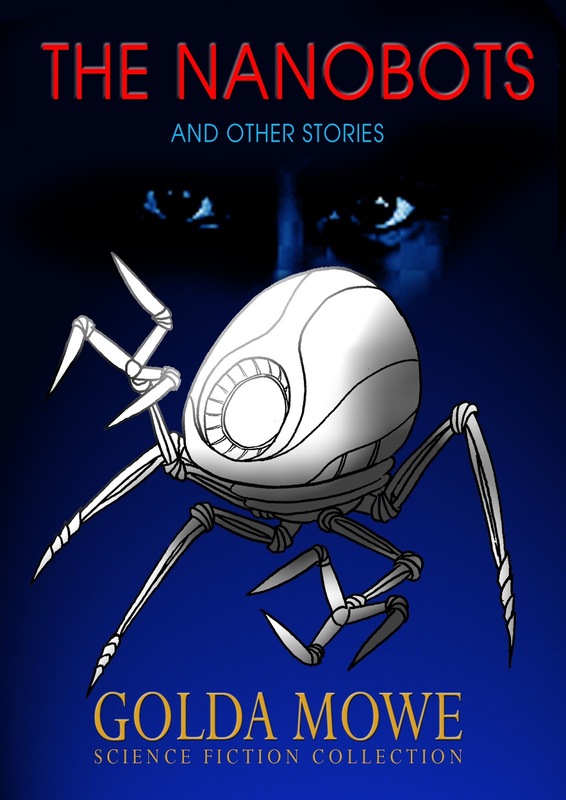 The Nanobots and OtherStories. To read sample chapters.